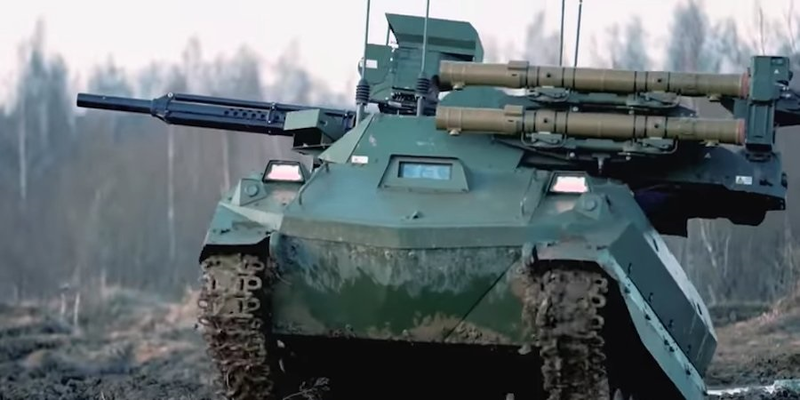 Russia announced last week that it had deployed its Uran-9 robotic tank to Syria, according to Sputnik, a Russian state-owned media outlet. 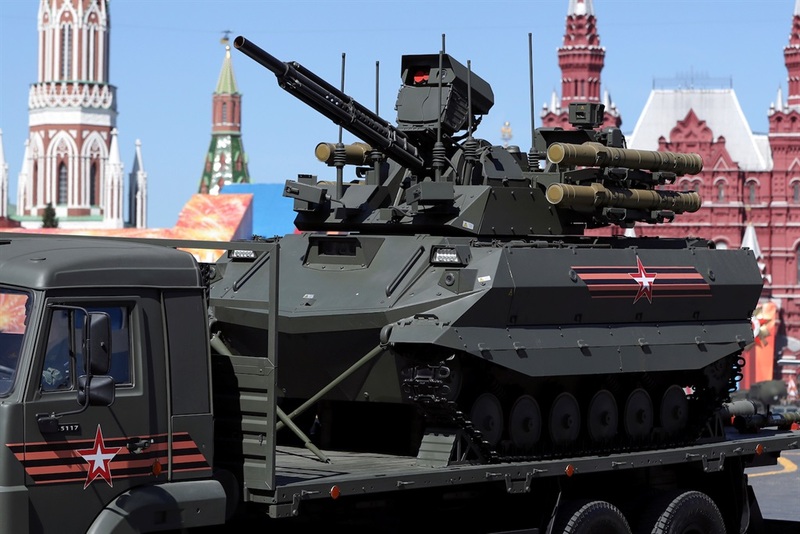 The announcement came a few days before Russia showed off one of the Uran-9 tanks at the annual Victory Day Parade in Moscow's Red Square. 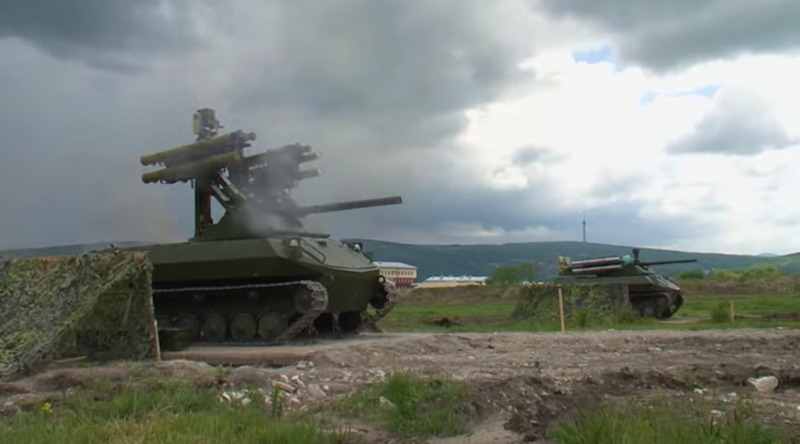 Sputnik reported last week that the Uran-9 "was tested in battles in Syria," where Russia has been advertising its latest weaponry and putting it into action in a seven-year conflict that has killed more than 400,000 people. 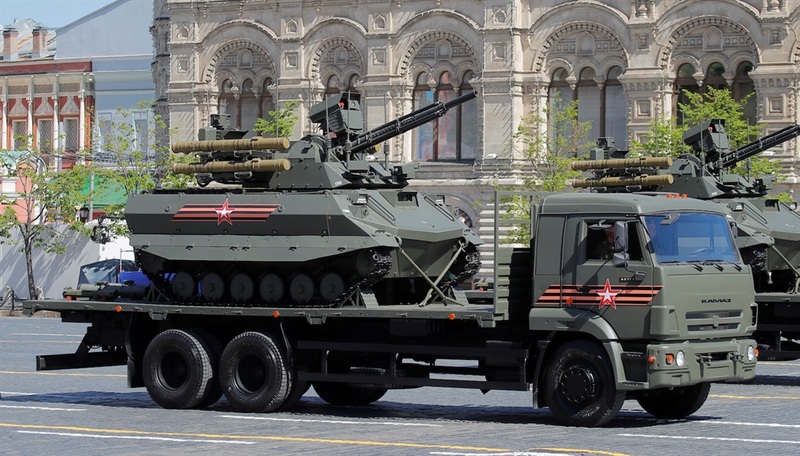 The National Interest, however, reported that it "remains unclear if the Uran-9 saw combat and where in Syria it was deployed," and Defense News questioned why it hasn't been seen in combat. 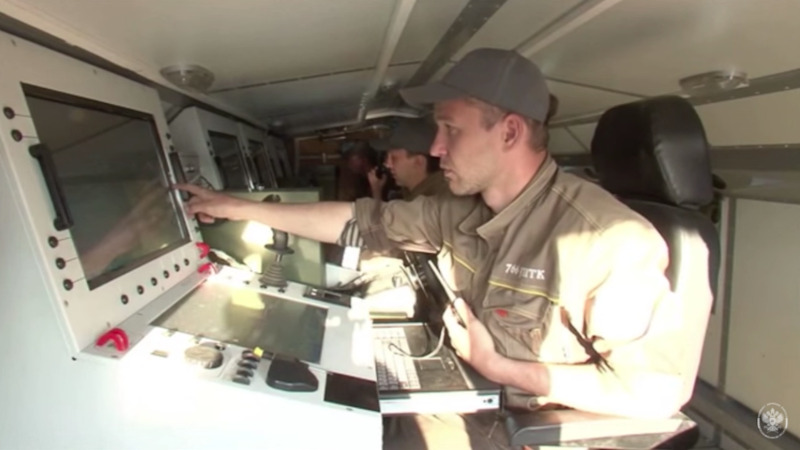 It's also equipped with a variety of sensors, laser warning systems, thermal and electro-optic cameras. 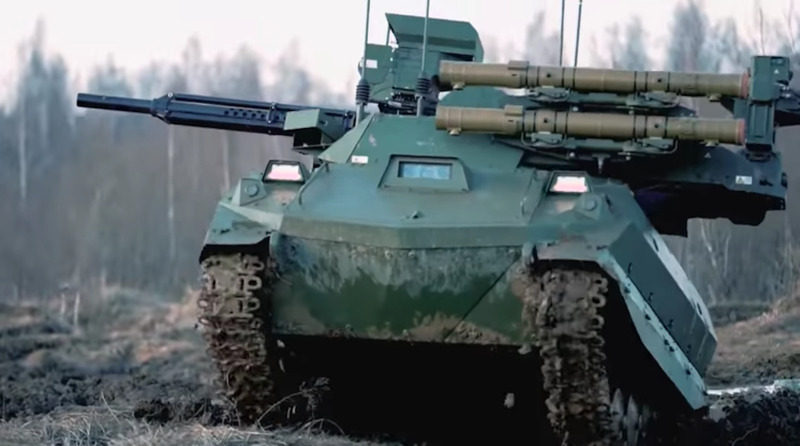 It's armed with four 9M120-1 Ataka anti-tank guided missile launchers, six 93 millimeter-caliber rocket-propelled Shmel-M reactive flamethrowers, one 30-millimeter 2A72 automatic cannon and one 7.62-millimeter coaxial machine gun. 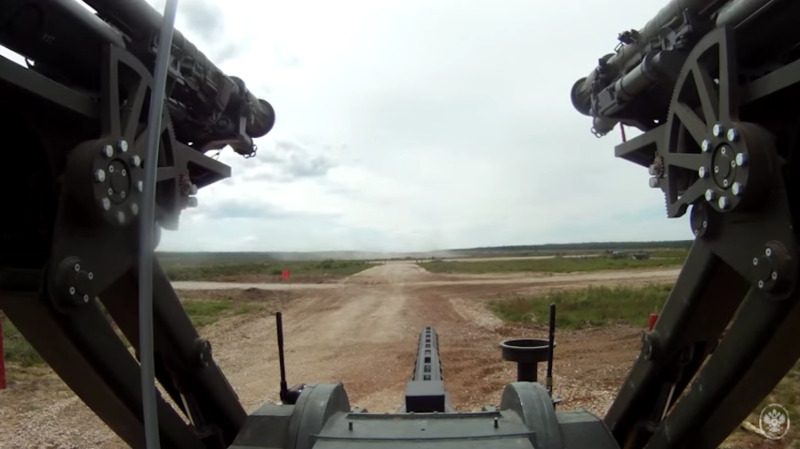 Here's a view from the automatic turret, which can detect and acquire targets on its own up to about four miles away during the day. The operator, however, controls the firing. 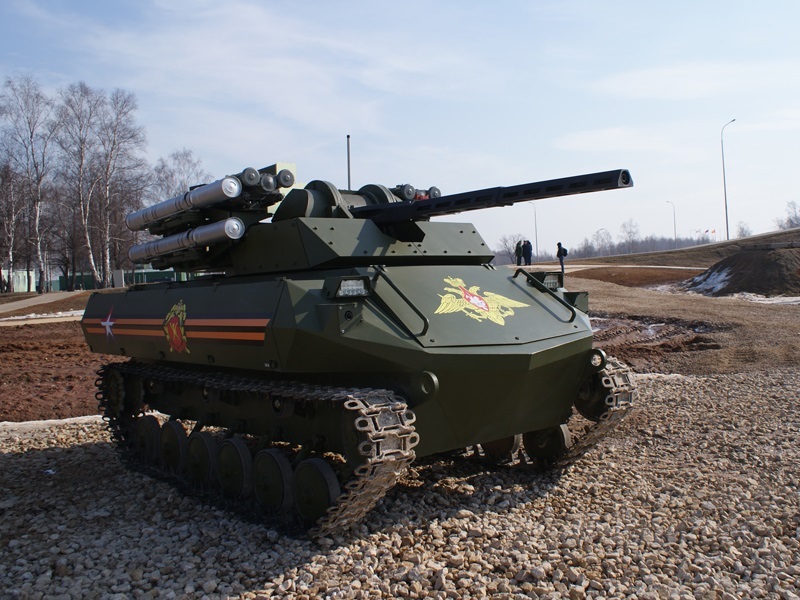 A Uran-9 unmanned ground vehicle presented by Rosoboronexport, Russia's state intermediary agency for it's defense industry. "How armed robots are fielded and controlled is a question for the future and a pressing concern on battlefields today. If the control is at the tactical level, what rank does that put the person operating it? Are they directing the Uran-9 by waypoints on a tablet or steering it remotely, with a person constantly responsible for its every movement. What kind of communications is it relaying back to the person operating (supervising?) it? Is it making targeting decisions on its own, and then checking in with a human before firing? Just how protected from unauthorized access can a robot be when it’s controlled in-theater."